Debi Shearwater received the Ludlow Griscom Award at the 2018 Monterey Birding Festival held in Monterey, California. The award is given by the American Birding Association to an individual who has made significant contributions to our understanding of a region’s birds. Debi Shearwater, famous for her incredible knowledge of seabirds, is the founder of Shearwater Journeys, Inc. Shearwater Journeys offers birdwatchers and nature enthusiasts the opportunity to venture out from California’s central coast to see seabirds and other marine life. Debi came to California in 1976. “I thought I was only going to be here for about 18 months,” she exclaimed. Within 10 days of arriving in the Golden State, she arranged to go on her first pelagic trip from Monterey. After a great experience, she booked another Monterey trip for that September – just six months later. On her trip in September, Debi encountered a blue whale: the first whale species she’d ever seen. 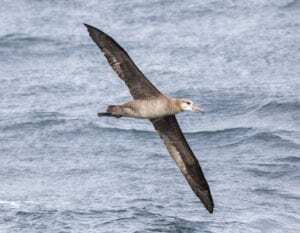 The following year, she spotted a Streaked Shearwater – a rare sight in California, since its native range is the western Pacific Ocean. 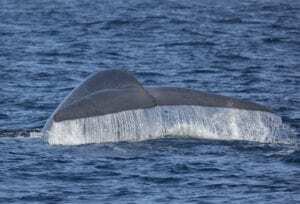 “That’s how it began – with a blue whale and a Streaked Shearwater,” she said. In 1976, the same year she arrived in California, Debi led her first pelagic trip. She continued to lead trips, hosting gatherings with coffee and baked desserts at her home afterwards. These gatherings were frequented by people who would later become leaders on her trips – some of whom are still active at Shearwater Journeys today. “It got bigger and bigger, and each year I had more trips on offer. At the peak, I was offering 80 trips a year – with trips out of Bodega Bay, Fort Bragg, Santa Cruz, Monterey…I did trips from one end of California to the other,” Debi commented. Apart from research expeditions, Shearwater Journeys’ 43 years of data offer some of the most consistent, long-term records of the seabirds off of Central California’s coast. 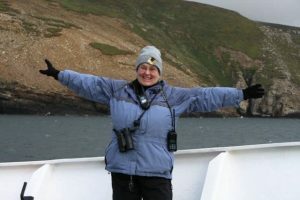 Her data on seabird sightings have contributed to numerous scientific papers and projects – including studies on Black-footed Albatrosses and recent research on ashy storm-petrel conservation. Ashy Storm-Petrels aren’t the only birds becoming less common since Debi began watching them. “In the beginning, when I went out of Monterey, Sooty Shearwaters would blacken the horizon. 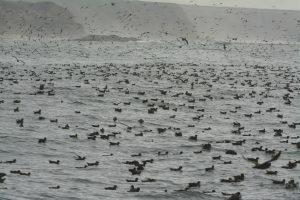 There was no way to tell the difference between the sea and the sky – there were so many Sooty Shearwaters,” Debi explained. 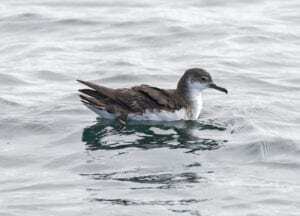 Sooty Shearwaters are a species research shows may have declined by 90% in the California Current between 1987 and 1994. Debi’s pelagic trips offer people the opportunity of a lifetime: to witness and learn about the incredible seabirds off California’s coast through firsthand experience. Since its beginnings in 1976, Shearwater Journeys has brought over 67,000 seabird watchers on pelagic trips off California’s coast. 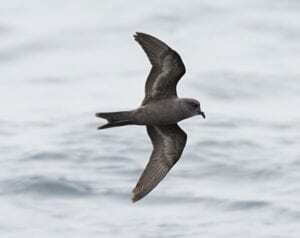 On a trip with Debi out of Monterey Bay, we were able to witness incredible species in their element: from Sooty Shearwaters to rarer Manx Shearwaters. Our sightings were enhanced by Debi’s comments on the natural histories of the birds and other marine life we were watching. Her passion and enthusiasm proved infectious – making it impossible not to feel inspired to do what we can to protect the very creatures we were seeing. Yet even if you don’t get to make it out on a boat, Debi asserts, talking about seabird conservation issues, supporting organizations that advocate for seabirds, and simply learning more about them are all ways we can contribute. “Everyone says people won’t work to conserve something if they don’t know about it,” Debi exclaimed. Debi’s advocacy for birds isn’t limited to just the ocean. On land, she is a strong advocate for eagles. Debi was a plaintiff on a case against the U.S. Fish and Wildlife Service (FWS)’s sixfold increase (5 years to 30 years) in the duration of take permits for Golden and Bald Eagles. If enacted, the decision would have allowed permit holders to kill eagles for 30 years without prosecution. The judge ruled the U.S. FWS didn’t adequately consider the environmental consequences of the increase, turning over the permitting extension back to U.S. FWS. This important ruling is known as the “Shearwater decision”. Debi spends time with the eagles around her home as well. 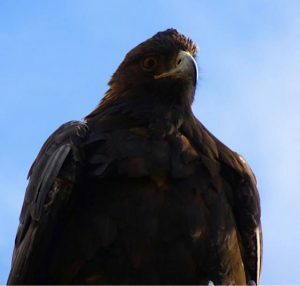 Recently, she worked with Pacific Gas and Electric (PG&E) to take preventative action in protecting a nesting golden eagle pair. Concerned about their safety after the eagle pair constructed their nest on a power tower, she worked with PG&E to have the adjacent power lines covered. She’s also been monitoring a Bald Eagle nest since she discovered it in 2004. When she’s not advocating for birds on land and sea, Debi is a champion for females in birding. Debi started a Facebook group, World Girl Birders, on International Women’s Day 2015. Since then, it has grown to over three thousand members from all over the world. Debi created the group as a way to highlight the spectacular things women in birding do around the globe. Between pelagic trips and her work as an advocate for conservation and female birders, Debi migrates to exciting places around the world. So far, she’s visited over 100 countries, hundreds of remote islands, every ocean, and almost every sea. Next year, she already has trips lined up to visit Cuba and the Dominican Republic. She also has plans to lead her own charter trips to the Russian Far East and the Galapagos Islands. Debi plans on retiring after the conclusion of Shearwater Journeys’ 2019 season. After retirement, she plans on traveling, spending time with her Great Pyrenees (Birdie Bear), and continuing to advocate for birds in her community. Shearwater Journeys currently has pelagic trip openings for 2018. Her pelagic schedule for 2019 will be released after the first of next year. For more information, visit the schedule for Shearwater Journeys by clicking the link here.